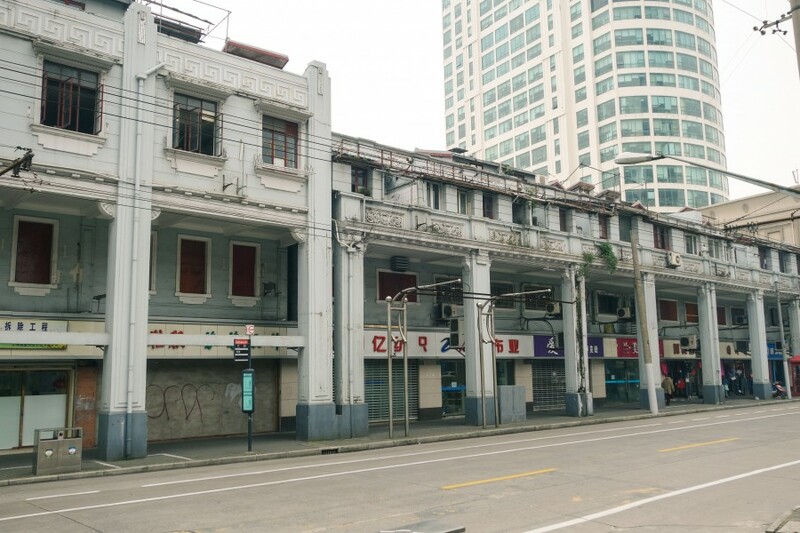 When did arcade houses began to appear on Rue du Consulat (today's East Jinling Road / 金陵东路)? Why were so many houses on this particular street built in this fashion? 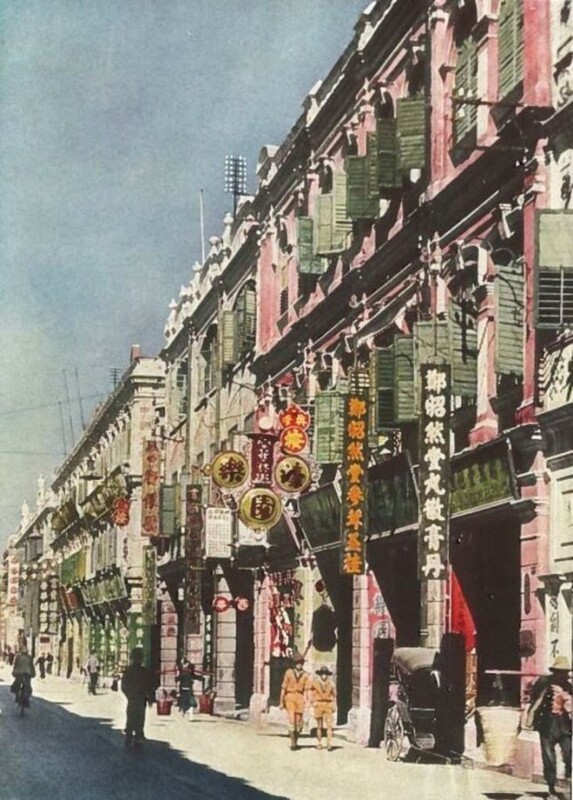 Modern sources lean toward the version that Chinese immigrant merchants wished their commercial buildings to be in a 'house-on-stilts' style, popular in the rainy south. But foreign documents from the early 20th century tell a different story. 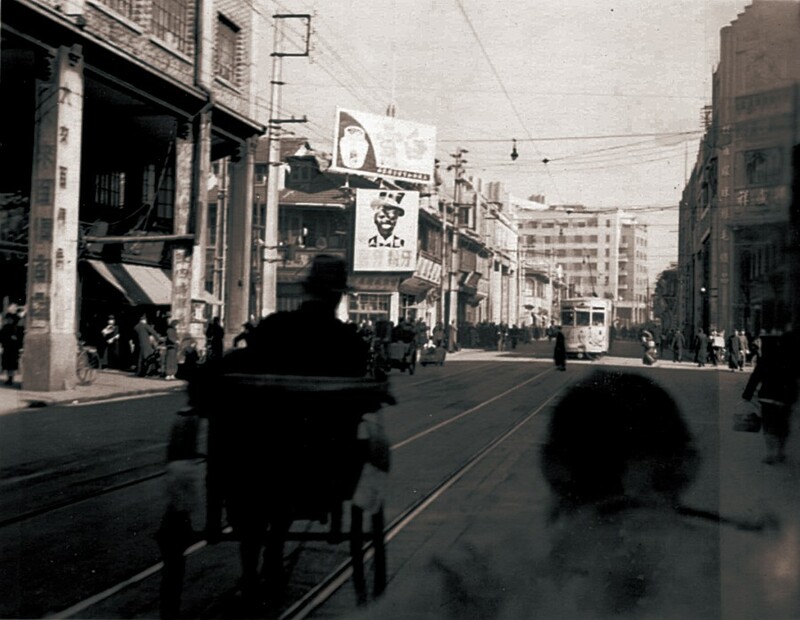 Since the early 1920s it was evident that cars would be the future of Shanghai, but central roads had already begun to experience traffic jams. 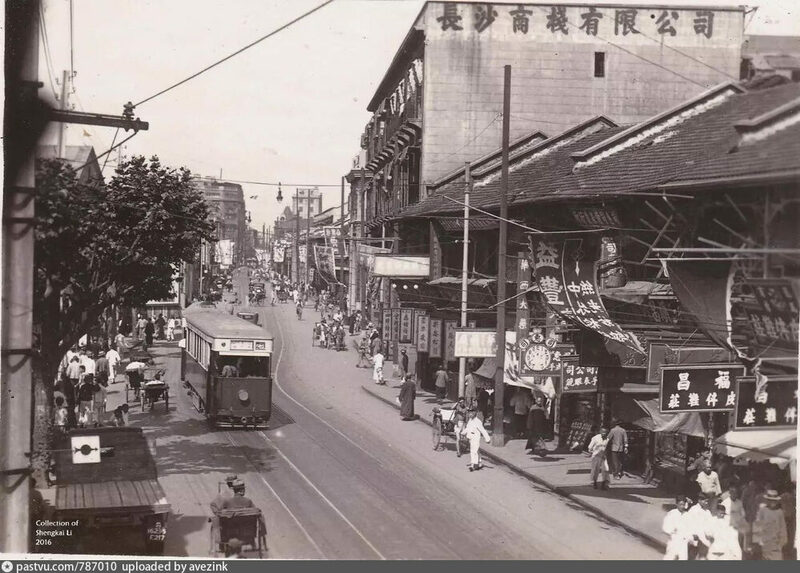 In April 1924 an article in the North-China Herald discussed the terrible condition of the French Concession's main thoroughfare: "There are whole stretches where all traffic is limited to the speed of the tramway and has practically to stop when it stops." 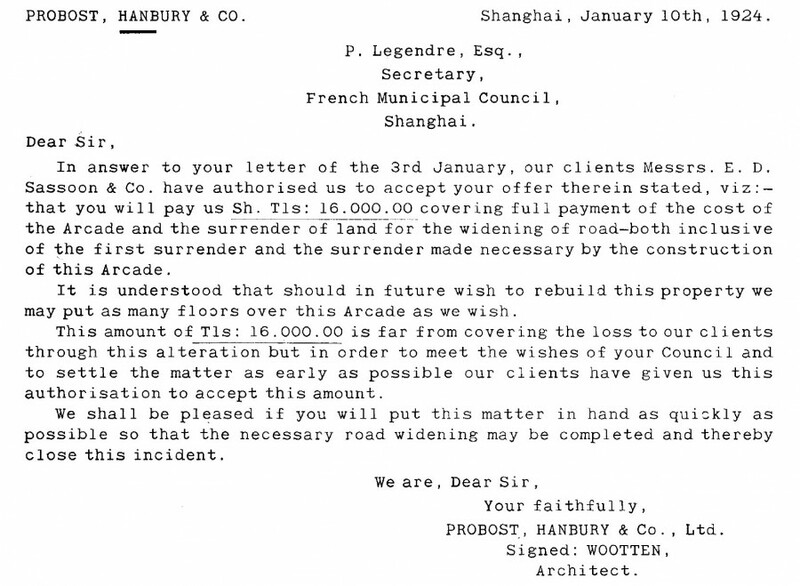 By then the French authorities were already discussing giving the whole width of Rue du Consulat "completely to heavy vehicular traffic" and rebuilding all the houses along the street as arcades, with sidewalks underneath them. The height of the arcades would be twenty-one feet, "which will make them light and airy, and when the scheme has been completed it should make Rue du Consulat quite an attractive thoroughfare." 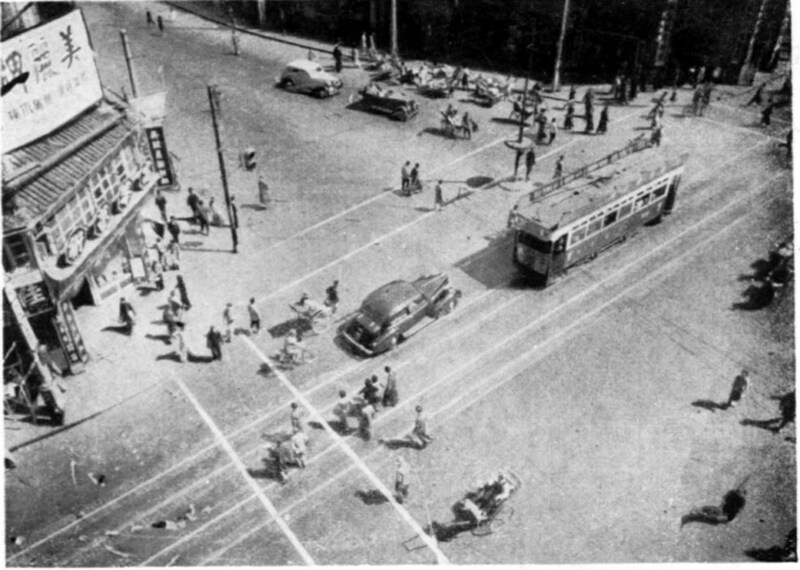 The author of the article, an enthusiastic supporter of arcaded streets, predicted that Rue du Consulat might then get renamed Rue d'Arcadie or Boulevard des Arcadiens. Source: CMF Budget for 1924. 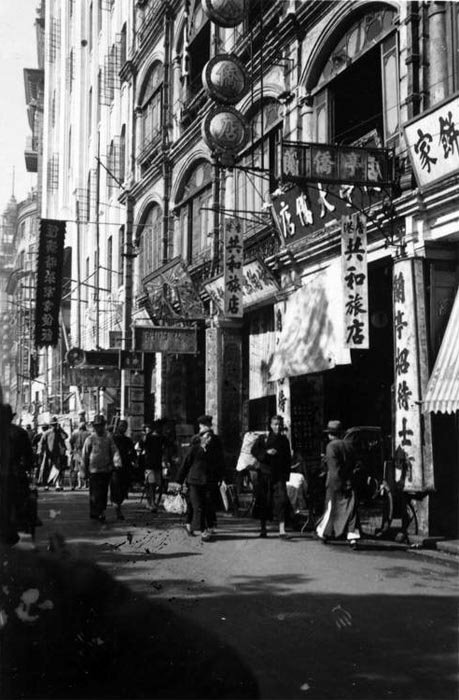 By 1928 the citywide construction boom had turned all corners of Shanghai into bamboo-scaffolded sites, and new arcades were popping up all along Rue du Consulat: "In the French Concession whole blocks of Chinese combined houses and shops and cités are going up as a part of the general impetus to building. The Rue du Consulat offers an example of some of this type of construction. In this street, it is the intention of the French authorities that the 'arcade' should be used as a form of roadway economy on what is a narrow artery for the rapidly growng traffic there. 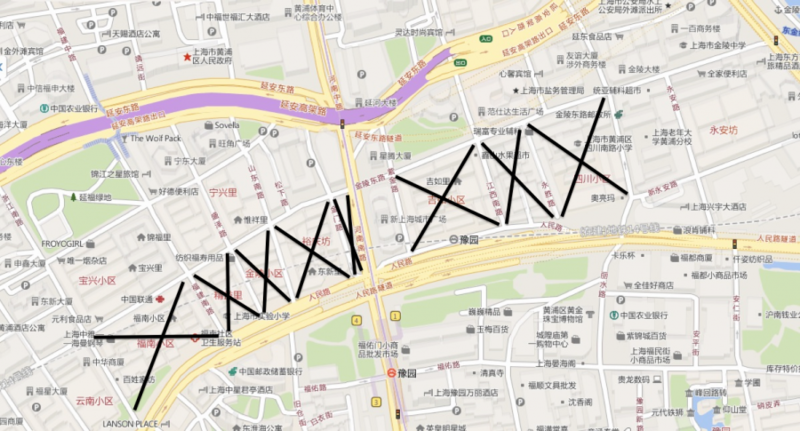 By paying Chinese property owners for their land to the width of the arcaded pavement, roadway space is saved or added to, as the case may be, and for this reason the Concession authorities have worked out a scheme of an arcaded avenue. 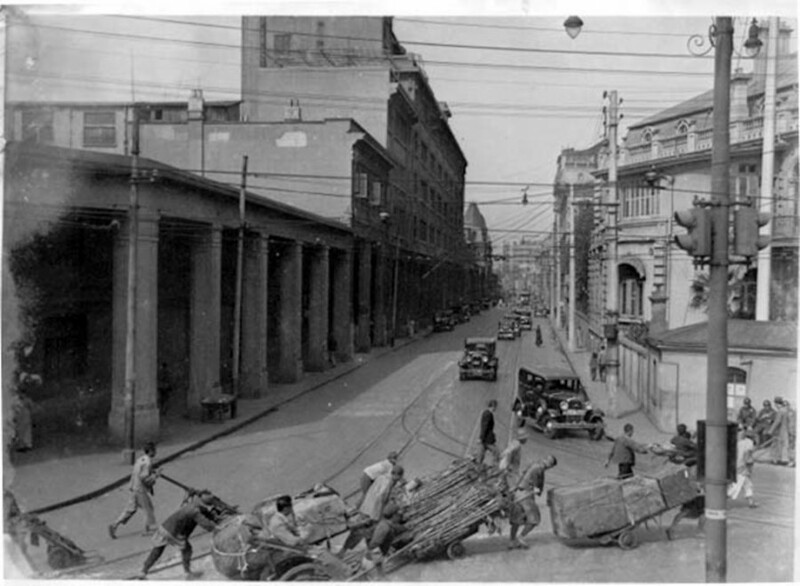 It is their hope that another decade will see a large portion of Rue du Consulat arcaded." 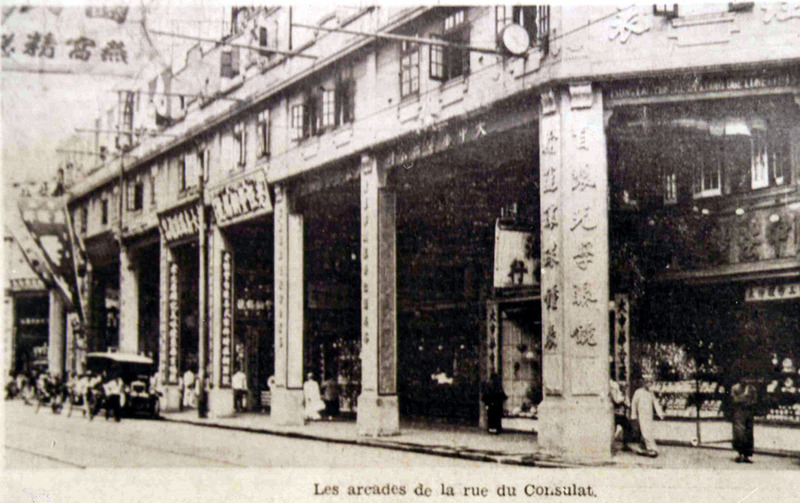 I'm against car traffic in the cities, of course, but it is hard not to deny that arcades on Rue du Consulat were a clever adaptation to the (perceived) demands of the time and resulted in a unique and beautiful street appearance, with added benefits of rain-proof passages and commercial opportunities. 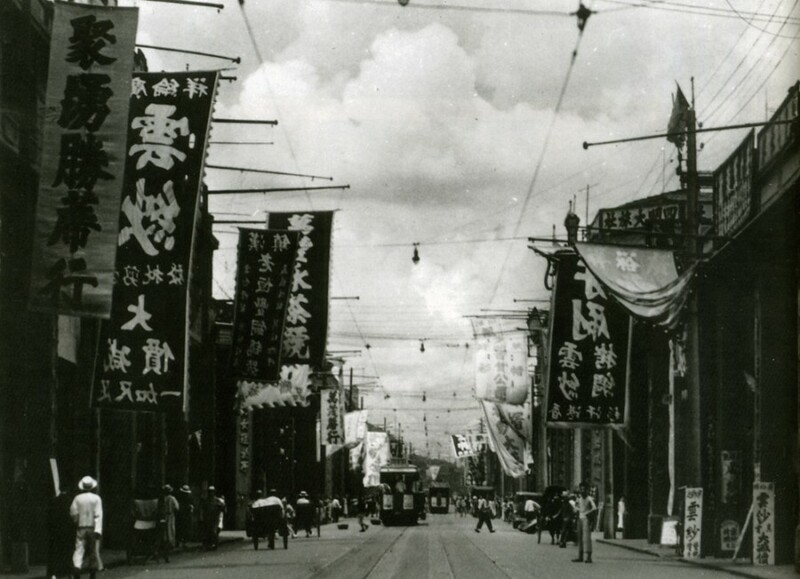 Some journalists' fears that the street would end up less picturesque proved unfounded, because shop signage continued to fly over the road, and there was extra space for colorful vertical advertising. 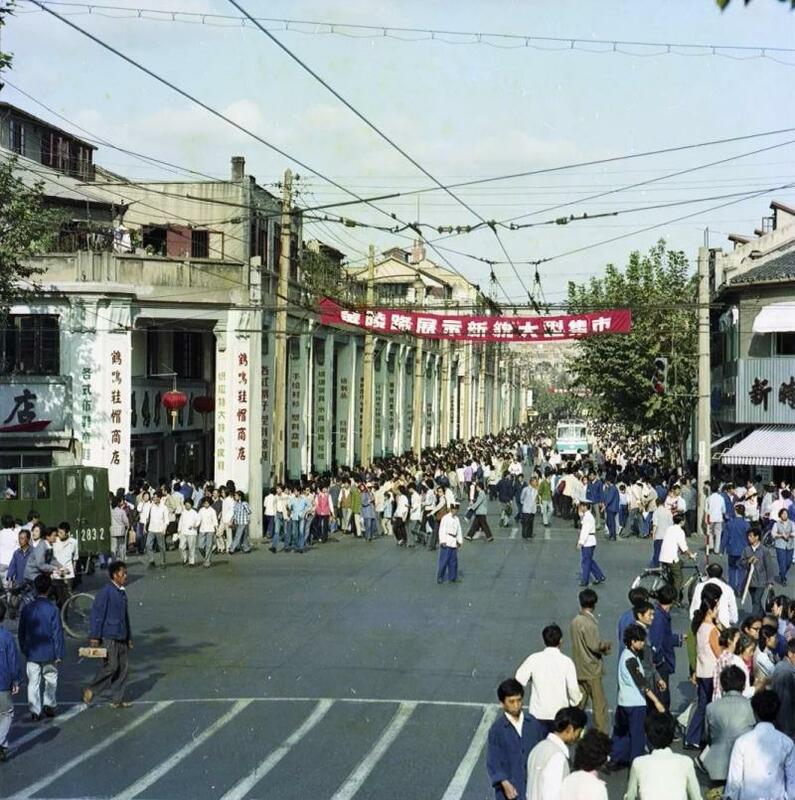 It was, after all, traffic convenience, and not the infusion of aesthetic ideas from China's south that created these arcades. 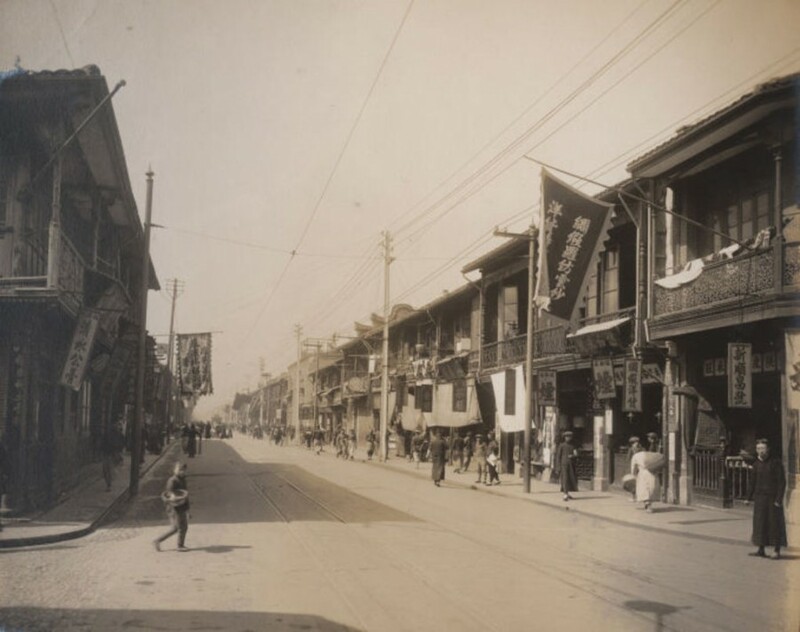 Although Chinese immigrant merchants in Shanghai were extremely numerous and influential they did not decide on architectural styles of commercial buildings. 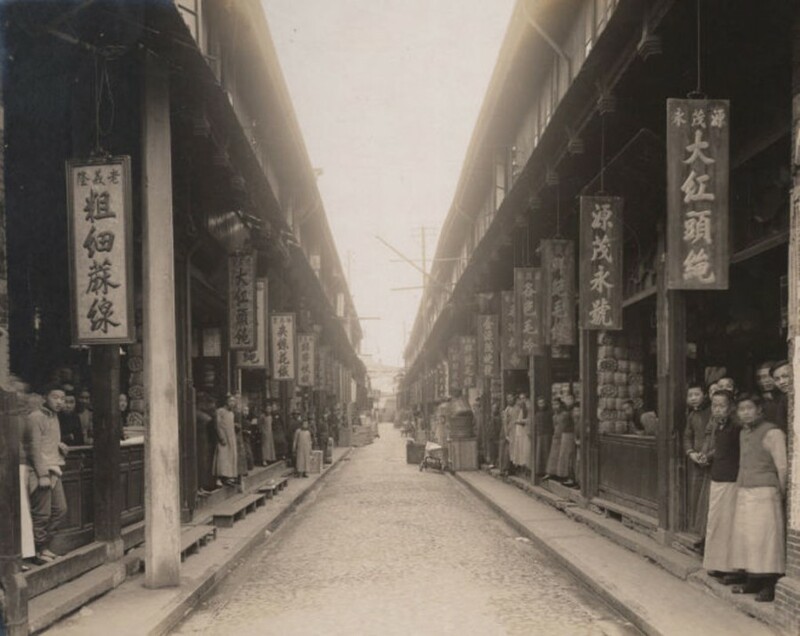 Stores were designed according to the wishes of local real estate developers who meant them to be uniform, practical and adaptable to various uses. 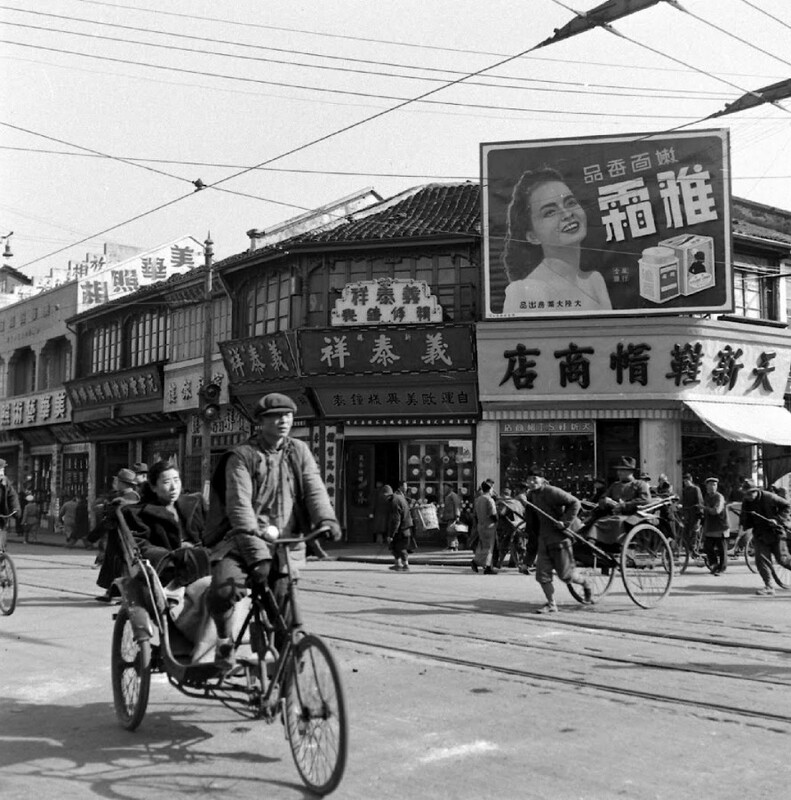 Flickr Cities in Old Days.